Contact National Express on their customer care phone number 0871 781 8181 at 13p per minute plus access charge to book a coach journey, to get the timetable for their bus services and to find out their train routes. Phone National Express customer services on their general enquiries contact number 0871 781 8181 (13p/min + access charge) to book your coach or bus ticket. If you are unsure of their timetable you can phone this helpline to get full information on when their coaches will arrive at your nearest stop, thus helping you to plan your journey. Furthermore you can call their friendly team of advisors to check their promotional ticket prices including their “funfares” and last minute deals. Moreover if you represent a sports team or club you can phone this number to hire a private coach for your party, similarly if you are having a large stag do or hen night you can find their group booking rates by calling this helpline. You can call the National Express customer care phone number 0871 781 8181 from 8am-10pm seven days a week, however closures may be in effect on certain UK bank holidays such as Christmas Day and Easter Sunday. Calls are charged at a business-rate determined by the coach company which is 13p per minute from UK landlines, however please be aware that calls from mobiles may cost significantly more. Contact National Express on their after-sales support phone number 0371 781 8181 to amend your ticket, purchase additional luggage allowance and to get advice before you travel. For example if there are traffic delays on the road you can phone this helpline to find out when your particular coach is due for arrival at the station you are departing from. Furthermore if you require special accessibility assistance due to a disability you can call their personable team of advisors who will help you to have a comfortable and safe journey. If you are unable to travel on the dates specified you can call this number to change the dates on your ticket or to cancel it in order to receive a full refund. 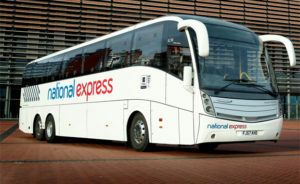 Calls to the National Express after-sales contact number 0371 781 8181 are charged at the same rate as calls to UK geographic 01 and 02 telephone numbers, which means a variable per minute rate is applied as well as your provider’s standard connection charge. However you may be able to call National Express for free by using this helpline if you have free inclusive minutes as part of your landline or mobile tariff. Contact National Express to make a complaint by calling their UK phone number 0371 781 8181 where you can voice your displeasure about a cancelled or delayed journey. You can also lodge a complaint if you feel you have been unfairly denied boarding to a coach and if you feel that you have been mistreated by a member of their staff. Alternatively you can send a letter of complaint to their head office in Birmingham directly by using the postal address below. Contact National Express about their C2C rail services by calling their dedicated phone number 0345 744 4422 where you can book a train ticket, check the timetable and when their trains will stop at your specific station. Similarly if you travel on their railway route regularly you can call this helpline to purchase a season ticket to save you money. If you mislaid an item whilst travelling on their train services you can call this number to file a claim for lost property, remember to give a full and accurate description of your lost belongings so that they will be able to find it faster. Moreover if your train was delayed by a significant period you will also be able to phone this helpline to claim compensation. 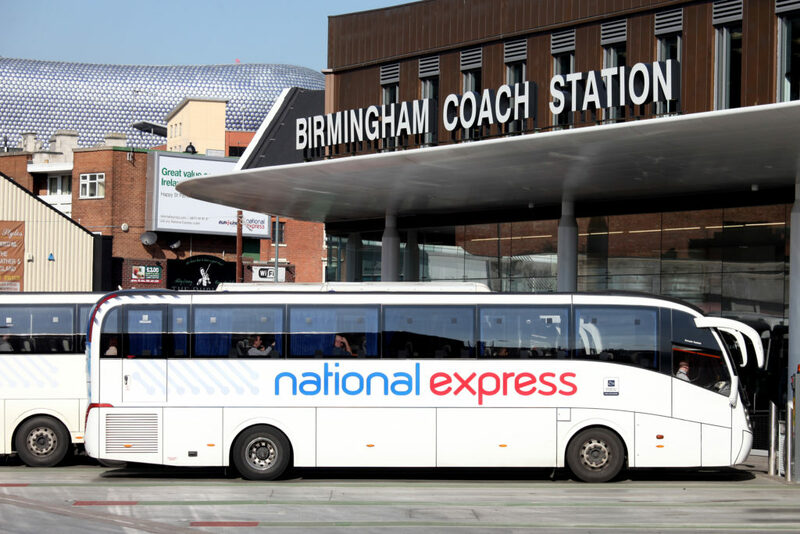 Phone National Express on their UK contact number 0121 254 7272 to enquire about their bus services which include National Express West Midlands, National Express Coventry, Xplore Dundee and Midland Metro. You can call this helpline to get their latest fare prices and to book a weekly or monthly ticket for your journey. Additionally if you have suffered an unpleasant experience on one of their buses you can phone this number to make a complaint and to notify them that something is wrong with their vehicles so that the problem can be resolved for future passengers. National Express offer a number of ways in which you can contact them about their coach, bus and train services without having to call their telephone numbers only to be sat on hold for ages. These methods include postal addresses, email forms and dedicated help-desks on popular social media websites. You can send letters to National Express by using their UK postal address which is located in the city of Birmingham, however you should be aware that you will almost certainly be able to contact them faster by using either their telephone or email services. Although they do not have a specific online address you can email National Express by filling out a contact form on their “contact us” website, where you will also be able to find live web chat functions for speaking to one of their advisors. You can also contact National Express by dropping them a message on one of their social media profiles, where you can also find posts promoting their latest ticket sale prices and new routes.